How much you are concerned with animals and especially your pets? And what about the one when it comes to innocent goats? Ok they are just goats, is it so? No its wrong. Inspite of being animals they still need a decent shelter for elements, especially rains, wind and heat as well. As they are not well aware how to cope with these weather challenges. Also they need to be protected from the predators. Just like us a goat can also get sick from exposure to extreme weather conditions. 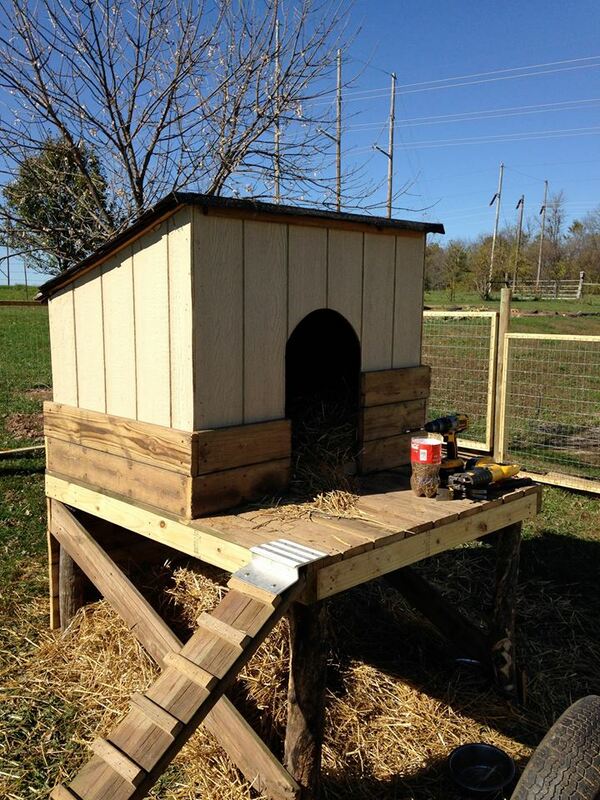 So it would be better to make a goat house by upcycling the wooden pallets. This house should be designed in such a manner that goat remains free from all the challenges possibly she could face. So if you are a master crafter, have all the basic tools and also aware of basic wood work skills then why not to make a decent pallet goat house? Yeah you really need to go for it as animals also need your affection. And if you are bringing them up then you must take all due care in this regard. So lets discuss some designs and patterns that could be implied in this regard. 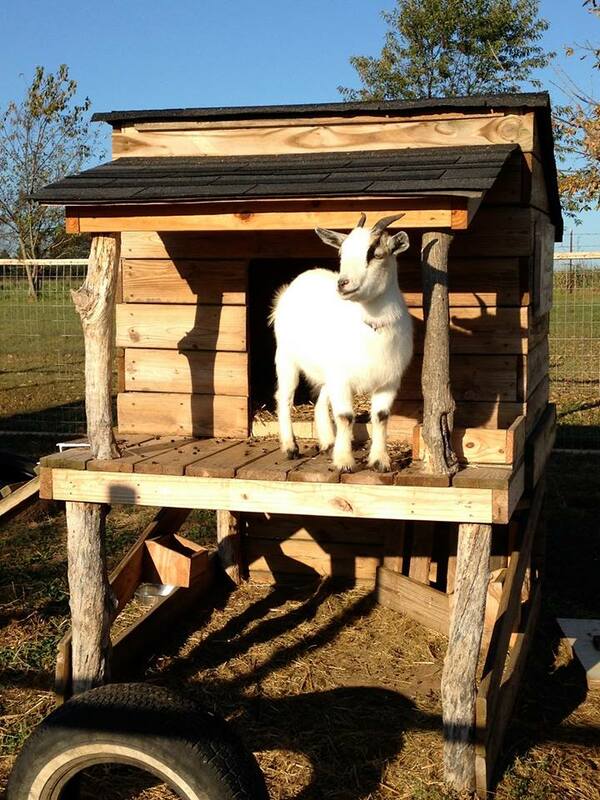 When you build your goat a proper shelter or a house then you become totally free of all the possible fears and perils. 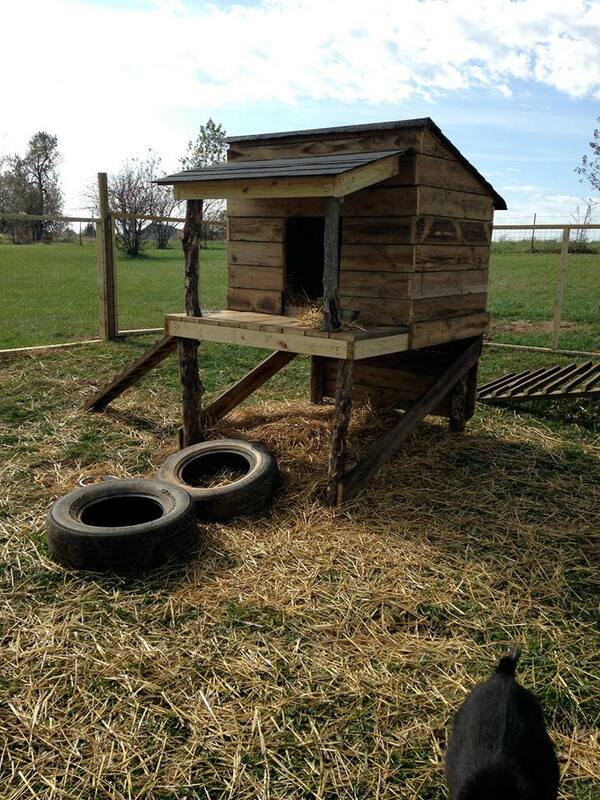 Here is a superb hut shaped wooden pallet goat house that is pretty perfect for your goat. It has a circular passage way imitating a proper door. While some additional space in the front where she can gaze and relax. It also has a wooden ladder connected to the upper portion so that she could easily climb up to the heighted indoor shelter. This would be a real gift to your goat especially your pet goat.